Blizzard's explosive FPS Overwatch took the gaming world by storm when it first first dropped back in 2016, and it's easy to see why. . Ranging from comics, to amazing collectibles, to in-depth animated shorts, and a constant influx of new content – it is safe to say that this is one title that won’t fade away into oblivion any time soon. As an immersive step into the elaborate histories of some of these characters, Blizzard has released a series of videos to give fans an inside look at to how some of these characters came to be the heroes we love fighting as. And the best part? 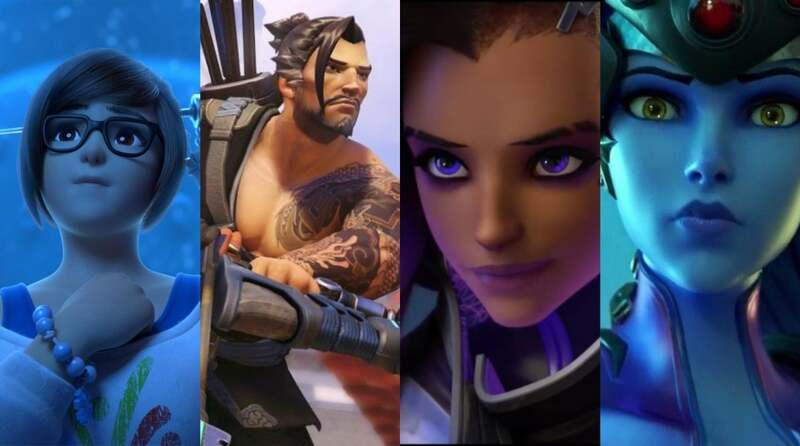 They aren’t done yet – Blizzard has confirmed that more shorts, more backstories, and more lovable characters are definitely on the way. According to Blizzard, "Recall" tells the story of Winston—a genetically engineered gorilla and brilliant scientist who longs for the days of heroism to return. In this episode, we explore Winston's thoughts and memories as he wrestles with the decision to recall the agents of Overwatch, all while the forces of Talon stage an attack on his laboratory in the abandoned Watchpoint: Gibraltar. "Hero" follows the masked vigilante Soldier: 76 on a personal mission to Dorado where he's set to investigate the illegal activities of the Los Muertos gang—but an unexpected complication threatens to compromise his objective. "An explosive train robbery gives McCree the chance to settle some unfinished business with a few former associates in our latest animated short: Reunion!" This is also the first time players got to meet Ashe, the FPS's newest hero! Overwatch is now available on Xbox One, PlayStation 4, and PC!